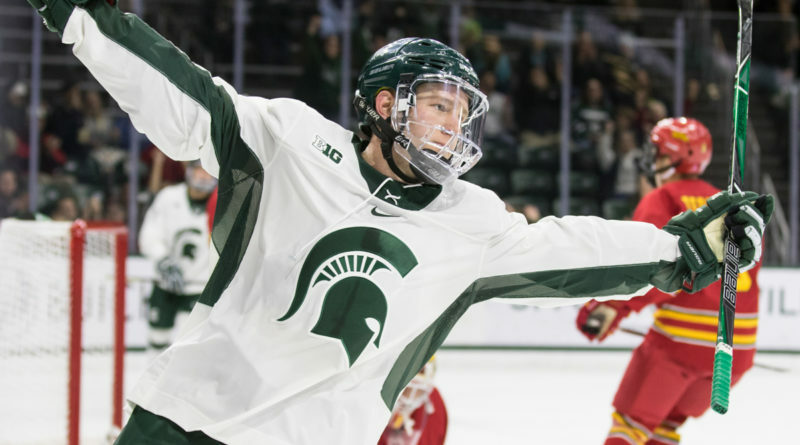 This past weekend, the Spartans swept the Gophers in Minnesota for the first time in a two-game series since 1976. And Mitchell Lewandowski played a big hand in doing so. The sophomore forward, a native of Clarkston, potted back-to-back multi-goal games, first with a pair in Saturday’s 5-3 win followed by the game-winning goal and subsequent insurance marker in Sunday’s 5-3 win. Lewandowski, a HoneyBaked product, now has 11 goals and 25 points in 24 games on the season, including four game-winning markers. The award marks his fifth career weekly Big Ten award and first this season.